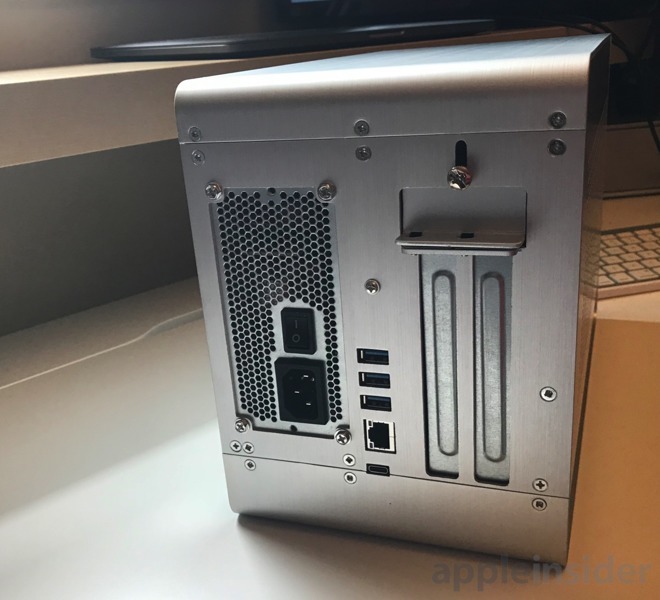 A few of the docks do differentiate themselves by including some lesser-used or older connectivity options, such as eSATA, VGA, and FireWire 800. It could be argued that there could be adapters and dongles on the market that can replicate these depreciated connections, so potential users having an urgent need to use those connection types may still want to look at others in the range —but we'll talk about some older connectors in a bit. If there's a port you need, like FireWire, or optical audio —then you've got fewer choices. If you need full charging power for a 15-inch MacBook Pro, even fewer. But here, looking back from our Thunderbolt 3 USB-C hardware, our recommendation is that it's time to move on —unless you have a piece of legacy audio gear that demands it. Even then, it might be time to look at upgrades, since a lot of the audio gear's driver support is iffy at best. FireWire 800 is capable of 100 megabytes per second maximum. The last Apple computer that debuted with the technology was in 2012. Yes, they sold it alongside the Retina MacBook Pro for many years —but that doesn't mean the technology is new. When you buy a new mac, your old stuff doesn't light on fire. Hook up your old gear, and move your data across your network to your new MacBook Pro or iMac. If you simply must keep the drive online, then connect it as a server —and really consider getting the data off. As far as eSATA goes, it is also a deprecated technology, and has been mostly supplanted by UASP support in USB 3. The days of eSATA are numbered —and it was never adopted in any great quantities. 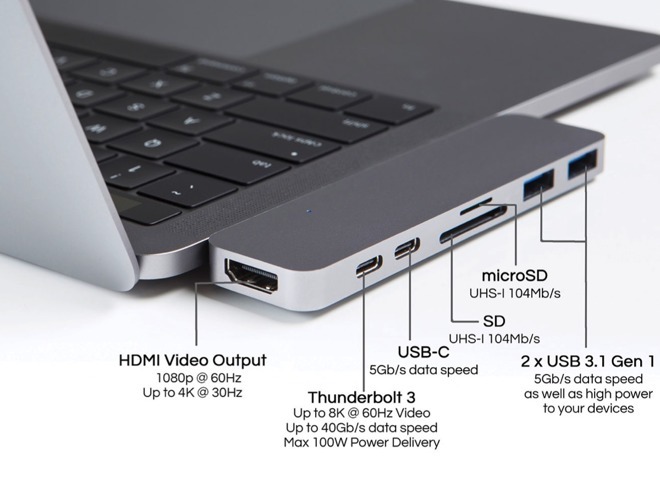 If you've got an eSATA enclosure, it probably has USB 3.0 also. Just use that, instead. If it's a USB 2.0 enclosure, consider pulling the drives out and putting them in a more modern enclosure —or like we advised the FireWire people, transfer it across a network to your new hardware. 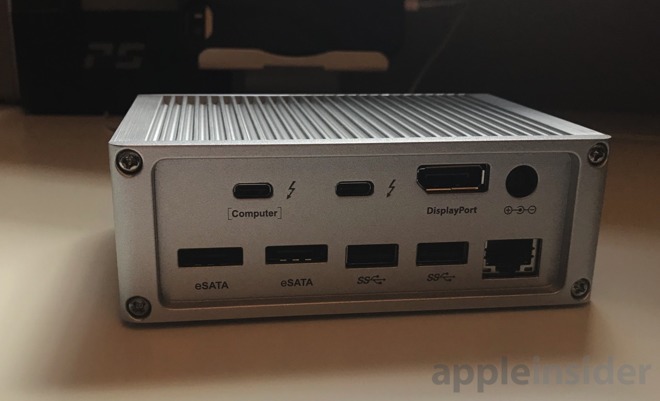 If you don't want to do that, AppleInsider can confirm that there is a USB 3.0 to eSATA adapter that supports port multiplying cases that works fairly well if not with all chipsets —and it is only around $33. At $349 and up minus the cost of a graphics card, they can be cost-effective —assuming you're looking at boosting the graphics capability of your host machine as well.